You are responsible for making a success out of a change initiative at your organization. The books and articles you have read in the past make you a bit frightened with this responsibility, because the literature is more about the failure of change than the success of it. And if you then finally found a success story, can it be adopted to your specific organizational context, cultural norms and expectations? Most of the change methods are designed for the past. These methods worked well in situations where command-and-control or top-down was still king and business environments were stable. 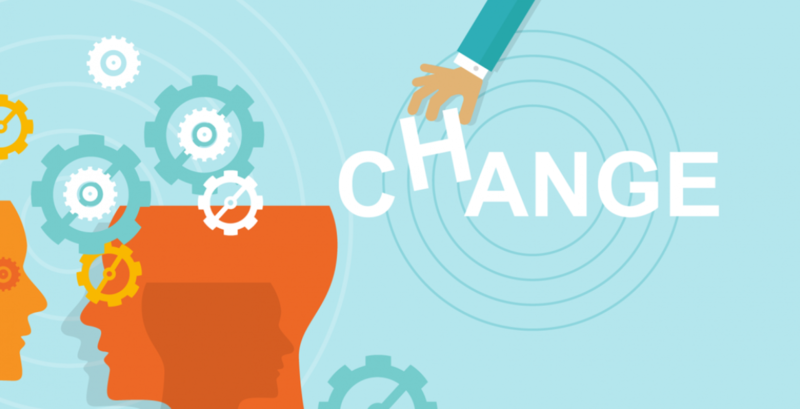 Change could be initiated through the formal internal communication processes, because people read news on the Intranet and the employee magazines from start to end. These methods are from the past. We need to have methods for the future. This article is about a method for the future: The Three Percent Rule. What is the Three Percent Rule? Why does the Three Percent Rule matter? People need to make sense of the change before they change. They still listen to the messages from the leaders (the corporate communication) and watch the leaders how they behave (role modelling). Besides these methods from the past you need to add a new method for the future: they mostly make sense of change through interactions with peers. the Edelman Trust Barometer for 2017 found that trust in peers is above 60% while trust in executives is below 38% across the 28 countries surveyed (see below). the American Press Institute survey found that peer credibility is decisive in whether a message get noticed or believed. 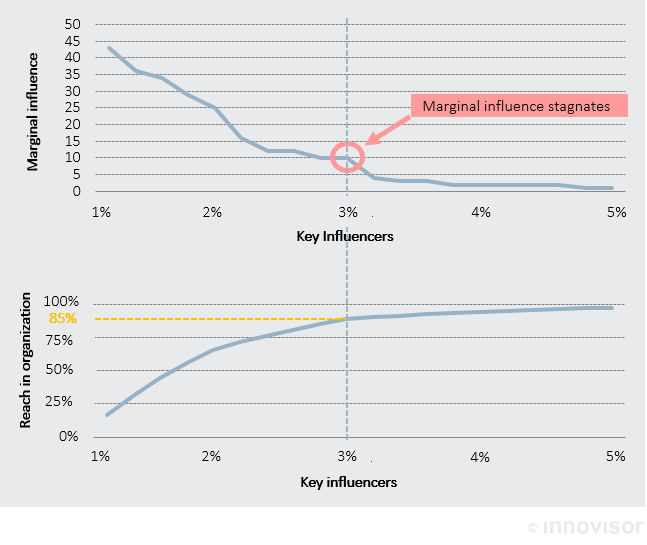 the Innovisor Benchmark data showed that leaders have far less influence than they think – when you want to get the same influence as the 3% through top-down, you need four times more people. 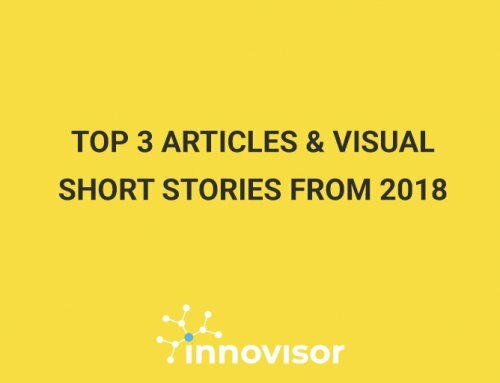 the Innovisor Discoveries from 2016 showed that the 3% drive perceptions – when they are positive around a topic, they drag the perceptions of everybody else upwards, and when they are negative, they drag others with them. The 3% are therefore the employees in your organization you cannot afford not to engage with in your change initiative, if you want to succeed. And that is also the common mistake in change initiatives from the past – we have engaged with the wrong stakeholders. This still reveals itself by most of the studies on change that show a 60-70% failure rate for organizational change projects. Start now with carefully selecting your 3% and engage with them. 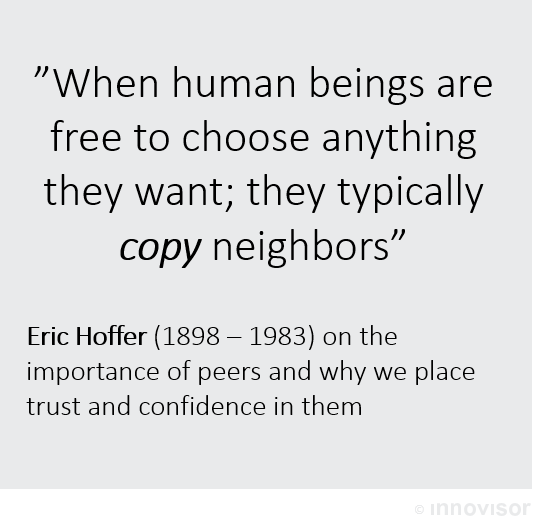 Eric Hoffer – an American moral and social philosopher – tells us why these kind of people are so important and why other place trust or confidence in them: “[w]hen human beings are free to choose anything they want; they typically copy their neighbors”. We may think that we are individuals and that we move through the world as such, but – in fact – most of us just copy what others are doing. How to use the three percent rule? 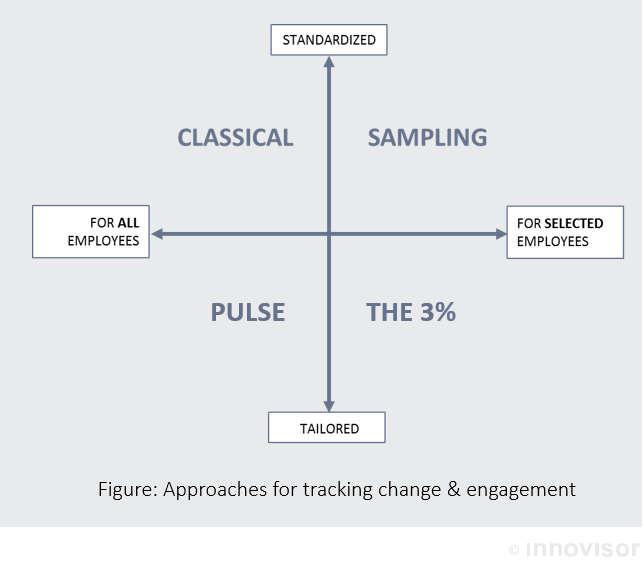 There are different ways to involve the 3% in your change initiatives. In most cases, they are involved in specific actions within organizations. These actions can vary a lot. One action is that the leadership team sets up trusting conversations with the 3%. This is in particular useful when there is a new leadership team. Through these trusting conversations the leadership team gets input from the ground and can then calibrate the leadership communications in a way that makes sense for everyone else. Another action is to use the 3% to improve the change initiatives by tracking their engagement in an organization. This is unique and different from the traditional ways of tracking the engagement of employees into change initiatives. The traditional way of asking all employees every year has received quite some backfire. It is slow and quickly outdated and after Josh Bersin criticized this approach in his article ‘It’s Time To Rethink The Employee Engagement Issue’ many large organizations started to rethink their employee engagement surveys since then. 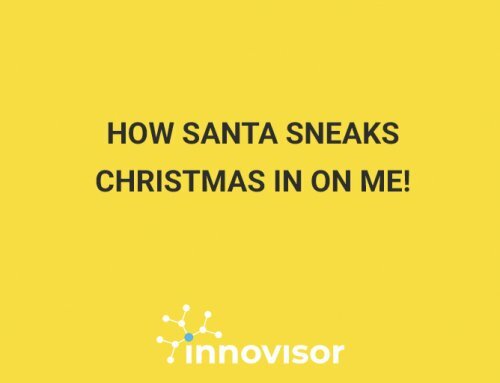 This has resulted in a new breed of employee engagement companies that are tracking the engagement of all employees all the time. When you ask all employees, this only works when you want to answer simple questions such as what is the number? – Size? – Weight? When the complexity of the question you want to solve increases, and the people you engage need to select the response that suits best from various options, smaller groups are then much better to take the best decisions. Drive change initiative successfully with the input of the few. 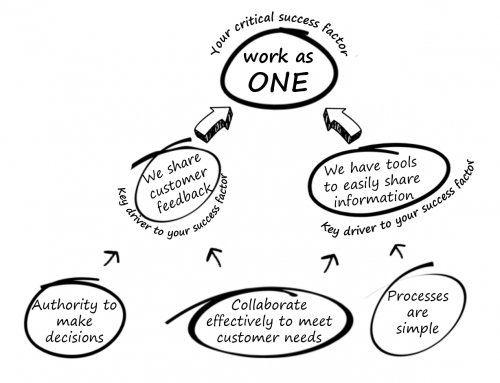 As Jeppe Hansgaard Vilstrup argues in his article “Why Wisdom of the Crowds Does Not Work For Employee Engagement“, this is the way to track real engagement in your change initiatives– not only by getting input from them through quick surveys but also by engaging with only a handful of people to recalibrate your own views of what is wrong and right.